The NHS is stuck in an "endless winter" with hospitals left in chaos struggling to cope, doctors and nurses say. The warnings have been made at the Royal College of Nursing and British Medical Association conferences. Delegates at each explained how pressures have got so bad that patients are being put at risk. But ministers in England rejected the claims, saying investment was making the NHS the safest health system in the world. The two conferences have fallen on the same week this year and both got under way with dire warnings of mounting pressures. The RCN produced a dossier showing how frail elderly people were being moved at night and patients were being treated in corridors and storerooms. And doctors at their conference in Belfast warned the NHS had been left drastically short of beds and was "bursting at the seams". Medics highlighted OECD figures, which showed that countries such as Belgium, France, Austria, Germany and even Romania have more than double the number of beds per head of population than the UK. 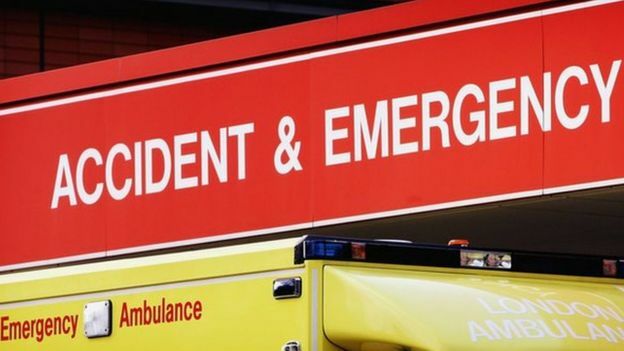 In England, the number of hospital beds has been cut by more than a fifth over the past decade to just over 103,000, leaving hospitals dangerously full according to BMA leader Dr Mark Porter. He said the situation meant there was an "increased risk" of infections and meant it was less likely that patients would end up on the right ward. Mr Michael Hardingham, an ear, nose and throat surgeon from Cheltenham, went even further. He told delegates during the debate: "Patients are being harmed because they are being sent home as there are no beds available." Doctors overwhelmingly passed a motion that the reduction in bed stock had gone too far. Meanwhile, nurses at the RCN conference in Glasgow highlighted examples of how the pressure on hospitals was forcing some sites to take extreme measures. RCN general secretary Janet Davies said the NHS was stuck in a state of "endless winter which was creating chaos". And Janet Youd, an emergency care nurse from West Yorkshire, added: "I can't say, hand on heart, that you'll get safe care at the next emergency department you need to go to." But a Department of Health spokeswoman maintained the NHS was "performing well despite the additional pressures" being placed on it. "Patient safety remains our priority and we are determined to make the NHS the safest and most transparent healthcare system in the world."